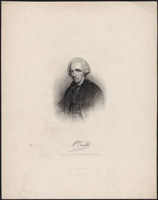 FINLAY, HUGH, merchant, office holder, seigneur, politician, and landowner; b. c. 1730, possibly in Glasgow, Scotland, third son of Robert Finlay, tanner and cordwainer, and Susanna Parkins; m. c. 1769 Mary Phillips at Quebec, and they had ten children; d. there 26 Dec. 1801. 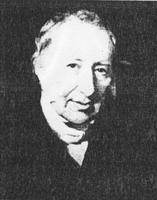 Hugh Finlay sailed from Glasgow for Quebec early in 1763, bringing several assets that promised him success. He had family connections in the business communities of both Glasgow and London and sufficient capital to join a wholesale merchant partnership at Quebec. His fluency in French would prove helpful, not only in business but also in launching an administrative career, for bilingual British immigrants were rare in the colony. Indeed, the beginnings of a career in government were evident before he left, since Finlay had the assurance that he would be appointed postmaster of the colony upon his arrival. At Quebec, Finlay formed a partnership with Stephen Moore, a merchant who had established himself in the town by August 1761, less than two years after its capture by British forces. Their partnership illustrates the methods and risks of commercial venture in this transitional period. They acquired premises on Rue Saint-Pierre in Lower Town and in March 1764 a lot and house at Baie-Saint-Paul from the surgeon Jean-Baptiste Rieutord, perhaps to serve as commercial outlets. The following month they purchased a bakery on Rue Saint-Charles from François Foucault*, formerly a member of the Conseil Supérieur of New France, for 21,000 livres: Foucault exacted payment in coin, shunning the rapidly devaluating paper currency, so that the acquisition was immediately burdensome for the new partnership. Moore and Finlay opened a retail business at their Rue Saint-Charles location and sold a wide range of goods, advertised almost poetically in the Quebec Gazette; among their wares were bindings, buckles, buttons, and boots, muslins, moltons, and “mazamets,” pickles in boxes and pork in barrels, silks, satins, sailcloth, and swan-skin, as well as “Tycks, Tweelings, Tickenburghs, Taffeties, Tumblers,” and tar. The mid 1760s, however, were difficult for many North American merchants, regardless of their business or cultural connections. Moore and Finlay soon found themselves deeply in debt at the same time as debts to them mounted; in December 1764 the Quebec merchant Alexandre Dumas owed them £4,000, and the Richelieu valley merchant Charles Curtius was indebted to the amount of £2,200 by November 1766. Despite Finlay’s advantages, to which should be added the diligence that marked his entire career, Moore and Finlay had operated little more than a year before having to turn the business over to their creditors in August 1765. Three months later they sold for £3,000 their Rue Saint-Pierre premises and a beach lot granted to them in June. While he was operating in partnership with Moore, Finlay had also begun investing in land on his own. In 1764 he purchased from Foucault the latter’s seigneury, on the upper Richelieu at the entrance to Lake Champlain, for 15,000 livres in gold and silver coin spread over five years. 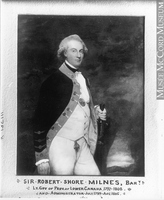 Three years later, along with Francis Mackay, surveyor general of the king’s woods, and the Montreal merchant Samuel McKay, Finlay was granted Lot 55 on St John’s (Prince Edward) Island. Finlay’s appointment as postmaster at Quebec had been arranged in the last months of the administration of the Earl of Bute, probably by the Earl of Egmont, and confirmed on 10 June 1763 by Benjamin Franklin and John Foxcroft, joint deputy postmasters general of North America, acting on instructions from London. Local merchants, with the support of Governor Murray*, had petitioned as early as 1762 for a regular postal service. Finlay soon built a weekly postal service between Quebec and Montreal via Trois-Rivières and a monthly post south through Skenesborough (N.Y.) and Albany to meet the mail packet service between New York City and Falmouth, England. He obtained from the government directions to the keepers of post houses to provide horses for mail couriers at one-half the rate to the public and to ferrymen to pass couriers over their rivers promptly and without charge. In view of the shortage of currency, Finlay met expenses with “tickets,” payable upon his announcement that cash had arrived at the Quebec post office. The posts were unexpectedly successful, returning a profit to the British Post Office Department and giving Finlay a good income of one-fifth of the receipts. In less than a decade the system was profitable enough to support a twice-weekly service on the colony’s post roads, and two posts a month to New York. Finlay’s abilities were soon recognized as useful to the government in other ways. In October 1764 he was appointed a justice of the peace for the District of Quebec in Murray’s unconventional civil government. On 25 Sept. 1765 he was named to the Council of Quebec, the governing body of the colony, and he held a comparable position during the remaining 36 years of his life. With British patronage independent of Murray, Finlay quickly became an advocate for the British merchant community, which was often in opposition to the governor, and his support was most vehement in its demand that the English legal rights promised in the Royal Proclamation of 1763 be applied to the colony. Since his postal service was dependent on the post-house system, and no one had been commissioned to exercise authority over the keepers of post houses, Finlay unofficially assumed responsibility in council for them and consequently for the conveyance and accommodation of travellers on the post roads. In 1767 he issued a notice applying to the colony regulations governing the post-house system in Britain; the keepers were confirmed in their monopoly of the post roads and protected from abuse by users. About 1770 he had instructions printed codifying the duties of keepers and post-riders. In council he defended keepers against the billeting of troops and the exactions of militia ordinances in such a manner that his moderate, but persistent, objections to arbitrariness constituted a defence of the Canadians in general. Late in 1772 Finlay left for London with a recommendation from Foxcroft that he be appointed surveyor of the post roads in North America. He apparently was befriended by the joint postmasters general, Baron Le Despencer and Henry Frederick Thynne (known from 1776 as Carteret). He agreed with the latter that he would investigate troubles in the extensive landholdings of the Carteret family in North Carolina. On 5 Jan. 1773 Finlay was appointed “Surveyor of the Post roads in the Continent of North America.” Back at Quebec that summer, he advised Le Despencer on choice properties for sale in the colony. These services for his patrons further strengthened the position Finlay had gained from his trip to London. Possibly in part as a response to complaints by merchants at Quebec that mail service to New England via Montreal was slow and unreliable, Finlay set out in September 1773 with Indian guides and an interpreter to scout a direct route by canoe and on foot up the Chaudière and down the Kennebec to Falmouth (Maine). From there he travelled southward to survey the post roads, all the while investigating the postal employees and noting the weaknesses of, and suggesting improvements in, the postal system. His industry, common sense, and extraordinary perception are evident in a journal he kept during the tour. Unrivalled as a detailed account of the postal system, it is also a sensitive record of colonial attitudes towards this most visible and vulnerable department of royal government immediately prior to the American revolution. In New Hampshire, Finlay joined Governor John Wentworth in recommending a new road through the White Mountains and down the Rivière Saint-François to the St Lawrence. After careful study of facilities as far as New York, Finlay hurried south to spend several months in North Carolina, where he looked into Carteret’s land problems. In Virginia by May 1774, he abruptly ended his tour upon learning that he had been named on 31 January to replace Franklin as one of the joint deputy postmasters general of North America. Finlay arrived back at Quebec on 26 June 1774. That year the British government, after long urging by Guy Carleton, abandoned the anglicizing policy of the Royal Proclamation of 1763 by passing the Quebec Act. Although appointed in 1775 to the Legislative Council created by the act, Finlay disagreed with many policies embodied in the measure, which denied the demands of the British merchant community. 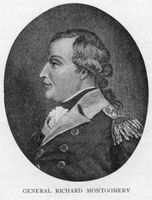 Moreover, Carleton chose to ignore instructions that would have softened the blow to the merchants. However, in the context of the American invasion of the colony in the autumn of 1775 [see Benedict Arnold; Richard Montgomery*], Finlay muffled his opposition. A member of the garrison defending the besieged town of Quebec that winter, he was probably the author of a detailed journal that illustrates clearly the bitterness and distrust engendered by the Canadians’ reluctance to fight the Americans. The revolution dealt Finlay several blows. It eliminated his option of becoming an agent for the Carteret family in North Carolina. It also ruined the prospect of a career in North Carolina politics – he had been nominated for a seat in that colony’s Council by the governor, who described him as “a gentleman of education and good fortune, of an excellent character and great understanding.” As well, the American invasion destroyed the postal link to the south and prompted complete censorship of internal as well as ship mail. In consequence, the postal service was all but destroyed, Finlay’s income as postmaster evaporated, and his recent appointment as joint deputy postmaster general of North America became insignificant. Finlay still had the confidence of Carleton, who feared he could not dominate a legislative council deprived by war of some of his most faithful councillors. In 1776 he chose Finlay as one of five members of a board with which he briefly administered the province unconstitutionally. The following year Finlay argued for the introduction of trial by jury in certain types of cases, but he was opposed by the majority in the restored regular council; when he learned that Carleton, too, was opposed to the measure, he dropped it for the duration of the war. However, at the same time he was in serious conflict with Carleton, publicly and privately, over the broad and arbitrary powers given to the military under a new militia law [see François Baby]. Finlay insisted on the need for more public and specific rules governing militia duty. His concern about widespread discontent with the measure, of which he was well aware by virtue of his position as postmaster, was doubled by his need to defend the keepers of post houses, who risked becoming particular victims of the corvée clauses in the law. The failure of the Canadians to oppose the Americans in 1775–76, however, had angered Carleton and the dominant party of loyal seigneurs in the council, rendering them strongly opposed to any lightening of the burden on the habitants. Finlay’s insistence resulted in his being dropped as an inner council adviser, although he remained a member of the regular council. 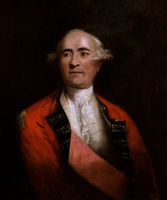 The arrival of Haldimand to replace Carleton in 1778 brought Finlay no immediate comfort, since he was soon busy fighting Carleton’s characterization of him to the new governor. It was apparent, moreover, that Haldimand was no more willing than his predecessor to free the mails from complete censorship. Neither would the new governor, who feared that the capture of the mails by Americans might compromise Britain’s military situation, acquiesce in Finlay’s urgings for restoration of normal postal service. Finlay’s continued representations in defence of the keepers of post houses, and the flood of their minor problems that he passed on to Haldimand for solution, were intended to support his drive for a formal appointment, with pay, as superintendent of the colony’s post houses. Faced with procrastination on Haldimand’s part and the combination of a growing family and a shrinking income, Finlay resorted to the bolder tactics that had won the day on an earlier occasion: in the fall of 1778 he sailed for England. There he organized a petition from merchants trading to the colony and gained the aid of his friends at the Post Office, who encouraged the secretary of state to support Finlay both in his struggle to restore normal postal service and in his desire to become superintendent of post houses. Despite this prompt and powerful backing, both decisions were left to Haldimand. The war continued to defeat Finlay. Back at Quebec by August 1779, Finlay did not allow his need of the governor’s support to soften his stand in the Legislative Council on reform of the judicature, but neither was Haldimand’s military perspective on the subject altered by Finlay’s efforts in London or at Quebec. In the summer of 1780 Finlay at last obtained Haldimand’s authorization to supervise the post houses, but without salary; immediately after, Finlay showed characteristic zeal in a tour he conducted of post houses and in his report, which called for road and bridge improvements. 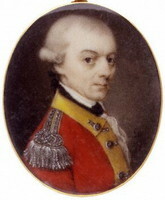 Although Finlay remained a political adversary, Haldimand came to trust him; in January 1781 Finlay ostensibly undertook another tour of post houses, but in fact, on Haldimand’s orders, he was secretly gathering information on discontent with, and clandestine opposition to, the government. His report was perceptive and cautious, advising that most people would obey orders when required. Finlay’s status as an office holder was confirmed in September 1780, when he acquired from the former attorney general, Francis Maseres*, a single-storey stone house on Rue des Casernes (Rue de l’Arsenal) in Upper Town, paying immediately the entire purchase price of £300 sterling; until then he had lived on Rue du Sault-au-Matelot, a commercial street in Lower Town. Like many office holders he engaged in property transactions; in May 1781 he bought one-half of a house on Rue Saint-Jean, again paying the full cost of £300 in cash, and by April 1783 he was renting out part of a house on Rue Saint-Paul, another Lower Town business street. Finlay apparently retained his contact with the merchant community; in May, for example, he was given power of attorney by the merchant John Young to represent the interests of three English firms during Young’s absence in Halifax, N.S. In the fall of 1781 Finlay had returned to London at the urging of a worried Carteret, whose fears for his family’s North Carolina properties were fully justified since they were ultimately lost. While in London, Finlay took the opportunity to seek a salary for his duties as superintendent of post houses, and he eventually succeeded. He returned to Quebec in June 1782 in the company of the new lieutenant governor, Henry Hamilton*, who became a valuable ally in council during the last two years of Haldimand’s administration. Finlay’s political influence probably reached its height in the years following the peace with the United States. In the session of 1784 he was one of Hamilton’s most prominent supporters. They obtained the re-introduction of habeas corpus, suspended since 1774, into the provincial judicial system; it was a measure for which he and the merchant William Grant (1744–1805) had long fought. 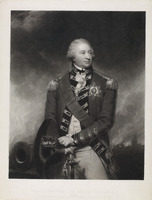 The following year he was president of the council and secretary and principal adviser to Hamilton, with whom he had established close personal relations. The lieutenant governor would be namesake and godfather to Finlay’s ninth child. 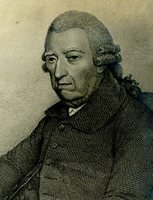 Although habeas corpus had been won in 1784, several other judicial proposals had been lost, but Haldimand’s departure revived hopes for reform. In 1785 Finlay introduced into council a major ordinance calling for the institution of trial by jury for some cases, the introduction of English commercial law and of English law of evidence in damage suits, and the inscription in the court records of the judge’s charge to the jury; all but a limited use of trial by jury, however, were defeated by the French party led by Adam Mabane*. Finlay also lost a bid to reform the Court of Appeals, composed of the lieutenant governor or chief justice and any five legislative councillors. One of only a few council members sufficiently conscientious to read law, Finlay roundly condemned as anarchical the practice adopted by most councillors of rendering judgements on the basis of equity. He wanted to limit membership in the court to those councillors who were bilingual and prepared to sit regularly. If Finlay was the backbone of the merchants’ campaign for judicial reform, his doubts about the wisdom of their demands for a house of assembly probably contributed significantly to Britain’s hesitation to grant the request. He had acquired a well-earned reputation for being moderate and informed about the Canadians’ opinions; he had also gained the ear of the under-secretary of state for the Home Department, Evan Nepean. 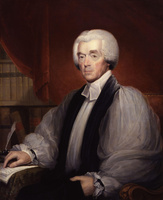 Finlay repeatedly argued that the habitants did not care for an assembly, especially if it meant the introduction of taxation, and that before the political future of the colony were confided to them it would be advisable to educate and anglicize them through the establishment of free parochial schools with English-speaking masters. 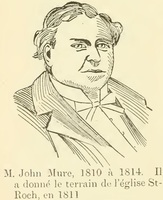 He feared that, if given the vote without proper preparation, the Canadians would elect Canadian deputies who would constitute an assembly ill fitted to govern a commercial country and would legislate to preserve French laws and Canadian customs; his prediction would prove far more accurate than that of assembly promoters, such as Grant and George Allsopp, who felt confident that the British would easily dominate Canadian legislators. 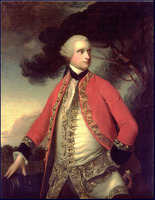 The return of Carleton, now Lord Dorchester, as governor-in-chief in 1786 reduced Finlay’s direct influence. In matters of legal reform he bowed to the leadership of the new chief justice, William Smith*. His one personal initiative, a drive in 1790 for the establishment of prerogative courts to probate wills and administer the laws of guardianship, was defeated by the French party. Politically, Alexander Fraser noted in 1789, Finlay was much attached to Grant but was “less violent and less formidable.” By that time he had been converted to the idea of an assembly, possibly by the limited prospects for further judicial reform under the existing constitution; he continued to insist, however, on the need to educate and anglicize the Canadians in order for an assembly to function satisfactorily. If less prominent, Finlay continued to be influential in council; in 1787 he finally saw the militia ordinance reformed, and the same year he translated into an important bill, passed in 1788, recommendations made by doctors Charles Blake and James Fisher* to regulate the medical profession. He was also active socially, as an officer in the Quebec Battalion of British Militia, as secretary of the Agriculture Society from its foundation in 1789 until at least 1794, and as a trustee of the Quebec Library in 1790, 1792, and 1793. Less occupied by politics after 1786, Finlay was able to devote more time to the postal service. He had received the position of deputy postmaster general of the province of Quebec in 1784. Although he was still anxious to restore the mail services via New York that had previously been so successful, he was forced to develop an alternative overland route to Halifax. In 1787 he undertook yet another postal odyssey, again keeping a journal, and he ultimately prepared a full report on the roads and post houses between Quebec and Halifax. 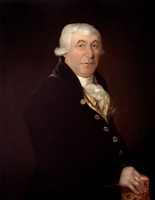 Characteristically, he recommended unified authority over the whole route, and thus obtained his own appointment in 1788 as deputy postmaster general of British North America with authority over Joseph Peters* of Nova Scotia and Christopher Sower* of New Brunswick. He also obtained a stopover at Halifax of the monthly Falmouth–New York packets in each direction of their transatlantic voyages, although it was only practicable eight months of the year. Finlay was able to extend the postal service through Upper Canada to Detroit (Mich.), and in 1792 he negotiated a landmark postal convention with the United States, reestablishing postal service with it and providing for passage of mails between Britain and Lower Canada across American territory in the four months of each year when the Halifax route could not be used. Although successful in rebuilding the postal service that furnished part of his income, by 1789 Finlay was, according to Alexander Fraser, “in very indigent circumstances, having only his office as Postmaster & Salary as Counselor to support himself, his wife, & near a dozen children.” In April he sold his house on Rue des Casernes and a vacant lot elsewhere to pay a debt of nearly £500 that his father-in-law had contracted and he himself had guaranteed. Two months later he bought a modest farm, called Woodside, along the Rivière Saint-Charles, promising to pay the purchase price of £300 by 1793; in March 1792, however, he offered the farm for sale. He must have been renting Woodside for some time, since it was there that the traveller Joseph Hadfield had visited his family in 1785; Hadfield found Finlay “a very sensible and agreeable man” and his wife, Mary, “a very agreeable, polite woman.” Four years later Bishop Charles Inglis stayed with Finlay during his pastoral visit and found the family “numerous and amiable.” The happy household was plunged into grief in November 1791 by the death of Mary; the élite of Quebec society, including Prince Edward Augustus, attended her funeral. Finlay sought by various means to supplement his inadequate income. Most involved exploitation of his political influence, and the efforts of a number of his political superiors to aid him testify to their recognition of his worth as an administrator and adviser. In April 1788 he sought the lease of the Saint-Maurice ironworks, then exploited by Davison and Lees [see John Lees]. Although his petition was recommended by the Legislative Council, he did not obtain the concession. However, in August 1791, when George Pownall*, provincial secretary, left for England, he deputed Finlay to act in his stead. The following month Finlay was appointed to the Executive Council created by the Constitutional Act, and in December 1792 he was named to the new Legislative Council. In May Lieutenant Governor Alured Clarke* had appointed him clerk of the crown in chancery. 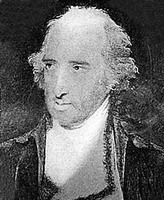 In 1792 as well, Home Secretary Henry Dundas intervened on Finlay’s behalf with the postmaster general when a large deficit surfaced in Finlay’s Post Office accounts. 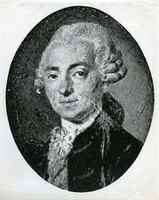 His situation had not improved by 1794 when he went to London to request compensation for unpaid services to the government; among other duties he had served as chairman of various council committees because he was bilingual and had acted as interpreter for the Court of Appeals as well as translated into French and transcribed that court’s decisions. As compensation, he again requested the lease of the Saint-Maurice ironworks, but added to it the posts of commissioner to determine the boundary with the United States, auditor of Lower Canada, and chairman of the Executive Council’s land committee. With the support of Dorchester and Dundas he obtained the latter two positions, but their combined salary remained inadequate to his needs. Perhaps it was desperation that prompted Finlay to become involved in a land speculation scheme in the fall of 1795. 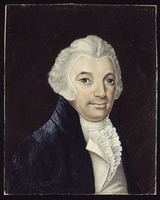 The plan, involving John Jacob Astor, called on Finlay to use his position as chairman of the land committee to gain approval of grants for as many as 24 townships. The scheme collapsed because of a temporary halt put on new free concessions of township land that fall. Finlay himself, along with about 40 associates, had expected to be granted Stanbridge Township. 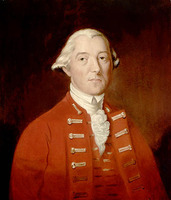 Desperate for money, he sold 36,000 acres of Stanbridge in advance for £1,000 sterling, but he was obliged in October 1796 to mortgage Woodside and pledge his salary to repay the sum when he found himself under suspicion of speculation by Governor Robert Prescott and was unable to obtain letters patent to the land. The same month he was forced to sell the house on Rue du Sault-au-Matelot to pay off another debt. These difficulties were in addition to his Post Office debt, aggravated by the bankruptcy of the postmaster of Trois-Rivières. No longer willing to tolerate the ever-increasing arrears, the British government dismissed Finlay from the Post Office in October 1799; he was replaced in April 1800 by George Heriot*. A copy of the “Journal kept by Hugh Finlay, surveyor of the post roads on the continent of North America, during his survey of the post offices between Falmouth and Casco Bay in the province of Massachusetts and Savannah in Georgia, begun the 13th Sept. 1773 & ended 26th June 1774” is held at the National Arch. (Washington), RG 28. It was edited by F. H. Norton and published under this title at Brooklyn, N.Y., in 1867, and reprinted in 1975 as The Hugh Finlay journal; colonial postal history, 1773–1774 with an introduction by C. M. Hahn. A journal of the siege of Quebec in 1775–76 which is attributed to Finlay has been published as “Journal of the siege and blockade of Quebec by the American rebels, in autumn 1775 and winter 1776” in Literary and Hist. Soc. of Quebec, Hist. Docs. (Quebec), 4th ser. (1875): –25. ANQ-Q, CE1-61, 30 Dec. 1801; CN1-16, 27 janv., 17 févr. 1809; CN1-26, 18 déc. 1801; CN1-83, 24 avril 1783, 18 févr. 1788, 21 avril 1789; CN1-92, 23 janv., 16 févr. 1802; CN1-148, 22 mars, 11 déc. 1764; CN1-205, 26 juin 1775; 26 janv., 30 sept. 1780; 25 févr., 31 mai 1783; CN1-207, 21 nov. 1766; CN1-224, 26 mai 1781; CN1-248, 23 avril 1764; CN1-256, 18 June 1789, 11 Oct. 1796; CN1-262, 3 oct. 1796, 19 mars 1798, 2 oct. 1801. BL, Add. mss 21860; 21877: 407. PAC, MG 23, GII, 9; MG 30, D1, 12: 730–91; MG 40, L, 1; 3A; 60 (copies). PRO, CO 42/25–135, especially 42/46, 42/61, 42/87, and 42/104. Doc. relatifs à l’hist. constitutionnelle, 1759–1791 (Shortt et Doughty; 1921), 2: 697–98, 729–33, 830–33, 841–45, 941–43. Joseph Hadfield, An Englishman in America, 1785, being the diary of Joseph Hadfield, ed. D. S. Robertson (Toronto, 1933), 130. 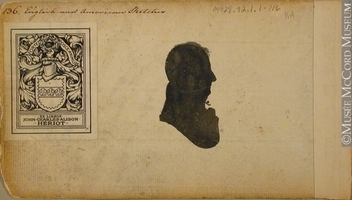 The papers of Benjamin Franklin, ed. L. W. Labaree et al. (21v. to date, New Haven, Conn., [1960– ]), 10: 221–23, 252–53, 279–80, 284–85; 19: 273, 359, 374–75, 415. Quebec Gazette, 4 Oct., 20 Dec. 1764; 28 May, 13 June, 25 July, 18 Aug., 19 Sept., 3 Oct. 1766; 20 Aug. 1767; 22 March 1770; 15 June 1772; 30 June 1774; 25 Aug. 1775; 15 May, 12 June 1777; 3 Sept., 29 Oct. 1778; 19 Aug. 1779; 25 Oct. 1781; 27 June, 7 Nov. 1782; 6 Nov. 1783; 3 March, 18 Aug. 1785; 5, 26 July 1787; 14, 21 Aug. 1788; 2 April, 31 Dec. 1789; 28 Jan., 25 March 1790; 18 Aug., 17 Nov. 1791; 23 Feb., 8, 29 March, 10 May 1792; 3 Jan., 11 April 1793; 2 July 1795; 6 Feb. 1798; 27 June 1799; 8 May 1800; 31 Dec. 1801; 28 Jan., 28 April, 25 Nov. 1802; 7 April, 12 May, 3 Nov., 1 Dec. 1803. Kelley, “Church and state papers,” ANQ Rapport, 1953–55: 108. Quebec almanac, 1788: 47; 1801: 102. Tremaine, Biblio. of Canadian imprints, no.153. Abbott, Hist. of medicine, 47. A. H. Clark, Three centuries and the Island: a historical geography of settlement and agriculture in Prince Edward Island, Canada (Toronto, 1959). Neatby, Administration of justice under Quebec Act, 28, 47–50, 76, 97, 100–1, 115–17, 135, 137, 140, 168, 196–255, 322; Quebec, 79–80, 161, 165–67, 190–91, 203, 206–25. William Smith, The history of the Post Office in British North America, 1639–1870 (Cambridge, Eng., 1920), 1, 37–58, 76, 79, 84–86, 89–90. I. K. Steele, “FINLAY, HUGH,” in Dictionary of Canadian Biography, vol. 5, University of Toronto/Université Laval, 2003–, accessed April 21, 2019, http://www.biographi.ca/en/bio/finlay_hugh_5E.html.